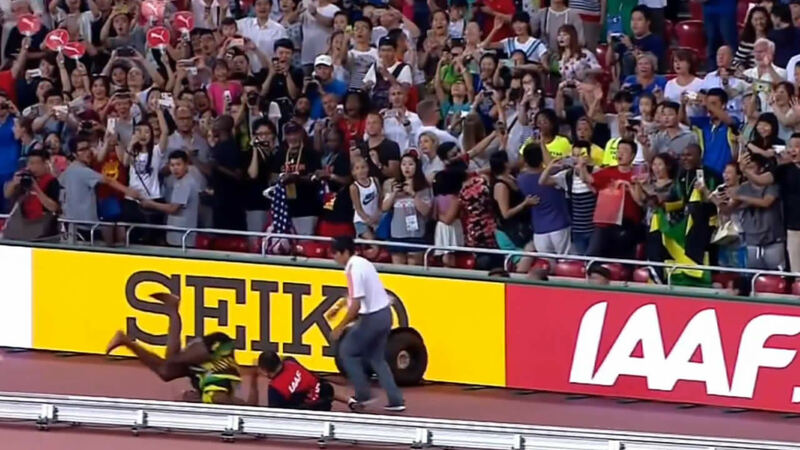 BEIJING (KGO) -- A cameraman on a Segway took down the fastest man in the world -- Jamaican sprinter Usain Bolt. It happened Wednesday night after the Olympian won the 200-meter race at the track and field World Championships in Beijing. The cameraman lost control of the Segway, ran into Bolt, and knocked him down. Bolt recovered with a backward somersault and then joked his competition was trying to "kill him." He had a few minor cuts and thankfully no leg injury.